A quick run through the significant entrants. (Post after the race). Barys has raced four times for Archie Watson. This son of Kodiac has been fancied on all starts and not beaten that far when racing from 6f - 1m. A fourth in the Convivial Maiden Stakes when beaten less than two lengths a fine effort. Watson must be a look frustrated that this bay cold is still a maiden. The blinkers have been applied for the first time. Not the best of draws in stall eight. Note: A very easy success for Archie Watson's horse. Unchallenged. 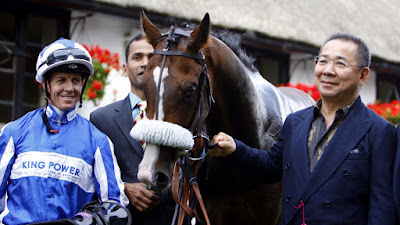 Humanitarian ran well on debut for John Gosden when runner-up to stablemate Kick On. This son of Noble Mission was priced 12/1 that day, most likely in need of the run and a fraction bigger price that should have by being second string. Will start odds-on for this race. Note: Another easy winner by 5 lengths. Interesting to see how Magic Illusion goes on this third start. Charlie Appleby's charge has made hard work of winning so far. This well-bred son of Dubawi was priced even money to make a winning debut at Ascot. Finished second best. Then failed to shine when the jolly at Newmarket, stepping up to one mile. That was a pretty stiff race but it was still a somewhat disappointing effort. Connections are stepping up to nine and a bit furlongs, so time will tell if this works. This doesn't look the strongest field and valuable experience should help. Note: Just plain disappointing and the gelding operation hasn't changed too much. Just not as good as connections thought. 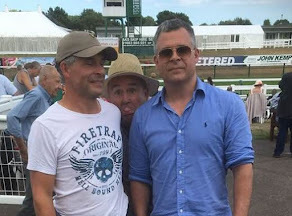 Hello Bangkok goes here for Andrew Balding and the late owner of King Power Racing Co Ltd. Park House Stables have had a topsy-turvy year with their two-year-old with outsiders winning aplenty while favourites have come undone. This bay daughter of Tamayuz ran well on debut when narrowly denied by a talented horse in Shambolic. However, punters were left feeling all at sea when this 200,000 guinea-yearling purchase flopped next start at the even-money favourite. A shocking effort in fifth beaten over ten lengths. I would draw a line through that run as it was too bad to be true. Balding is dropping this horse in distance. Difficult to know if this is a good or bad idea. I generally consider that the trainer knows best. This filly is held in some regard and the team will be hoping for more today although from a far from an ideal draw. Note: Gives the impression that the trainer got it wrong. The distance must have been a furlong too short although time may tell it didn't make too much difference. On review, didn't have much go right and capable of better. No match for the winner but may have a win in her this season.